Modern A rated windows are generally very well sealed. However one of the most common leakage points in a dwelling is where the window frame meets the external wall/floor. Windows are one of the most expensive elements in a new home & there is little point in spending so much money if they are installed poorly. The airtight membrane on the external walls in wrapped around the reveal. 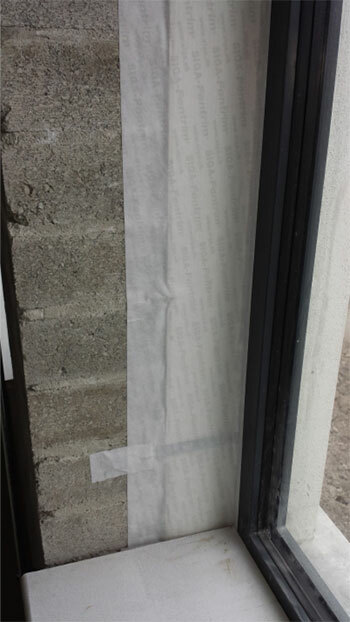 The membrane is then taped directly to the window frame. Block walls are still the most common build type. They can also be the most difficult elements to seal as the blockwork, cavity depth & window cill detail varies hugely from house to house. There is no single solution for all situations, but the tape must be strong enough to seal to the blockwork & robust enough to withstand damage during the rest of the build. 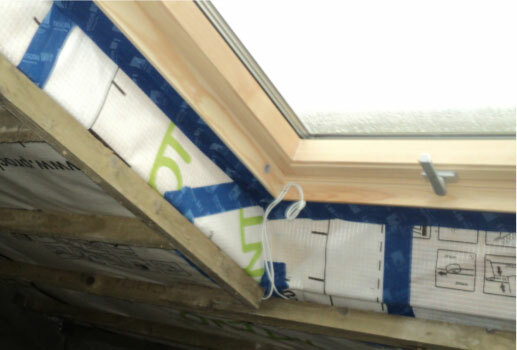 We generally use a mixture of SIGA Fentrim tape & airtightness adhesives.